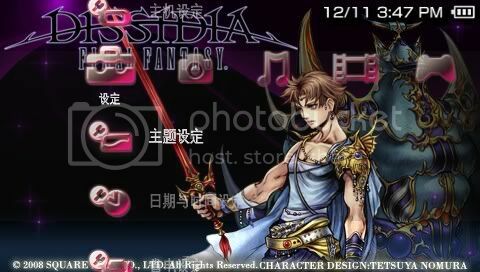 Its fun to know that the new game, Dissidia : Final Fantasy which i just discussed yesterday have its official PSP Theme! The theme is base on the Final Fantasy Series which are, FF1 to 10! That means, each episod got its very own theme and also a beautiful wallpaper! 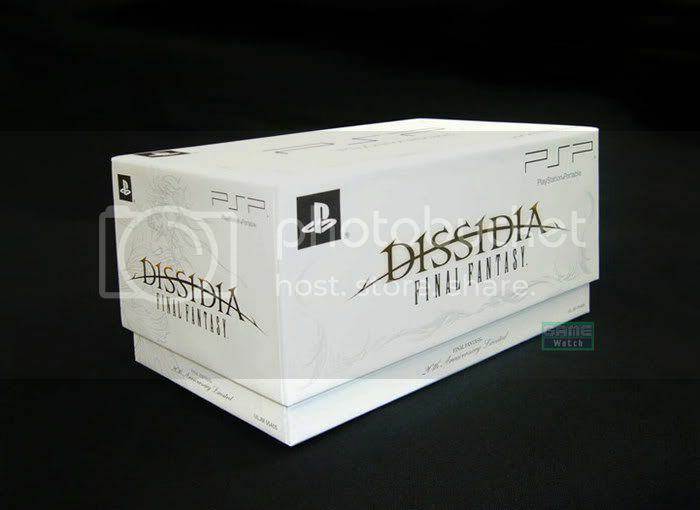 Well, at the time of writing this post, the PSP Theme is available for download from FF I to FF X. So i had packed it all in a rar file and you can download and enjoy it. And then go to your PSP and apply it! Screenshot shown the PSP system is set to chinese. Engish, Japanese PSP System ALL work fine. After waiting for super long….. Since i search so hard for the download links, if you all want to download and try the game out before buying the original UMD, OR you want to play it and wait for the english version to come out, then you can use the download links below. Provided is the download link for FULL Japanese version, in CSO format after extract. NONE of these links are uploaded by joshuatly. I only do the search over the internet, and tested it out and put it up here. So DONT and NEVER EVER ask me why the link is broken. I will not replace those broken links. Below still have some screenshots for you guys! If you want any pictures, links, or content to be removed because of copyright problem/any other reason, do email me by using the contact page. I will try to do it ASAP. Im back to my home at last…. Hihi my bed… my bed… my bed………………..
Something interesting is my favourite browser, Google Chrome is out of BETA now! Haha. you can read the review here (part 2) and download latest version of Google Chrome here! So, one day (the 1st day) in Pavilion and 4 days in Showroom. That means i watched the same show in Showroom for four times…. The show is magic mirror the musical. Basically is a buddist show but the content is very interesting and the show is pretty well done! I like the show (in some sense). So dont eat so much. erm… cannot oh… erm… dunno lah. So, i will spend most of my time in these few days in home playing computer, downloading stuff, and maybe schedule some blog post for the future! Haha. Anyway, while im not here, you alll do can follow my twitter!